Explore the numerous day-trip ideas around Sydney: Katoomba (The Three Sisters, Blue Mountains, & more). 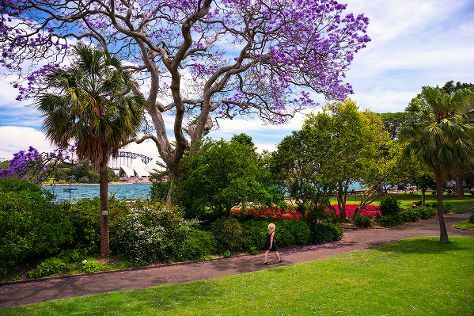 And it doesn't end there: take in nature's colorful creations at Royal Botanic Garden Sydney, kick back and relax at Manly Beach, catch a live performance at Sydney Opera House, and examine the collection at Australian National Maritime Museum. To find other places to visit, photos, and more tourist information, read Sydney trip planner. Glasgow, UK to Sydney is an approximately 26-hour flight. You can also do a combination of bus and flight; or do a combination of train and flight. Due to the time zone difference, you'll lose 10 hours traveling from Glasgow to Sydney. Expect somewhat warmer temperatures when traveling from Glasgow in September; daily highs in Sydney reach 25°C and lows reach 14°C. Wrap up your sightseeing on the 16th (Mon) to allow time to travel to Mildura. Mildura is known for breweries & distilleries, fun & games, nightlife, museums, and theme parks. 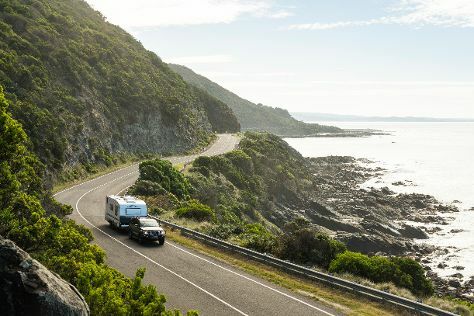 Your plan includes some of its best attractions: brush up on your knowledge of spirits at Fossey's Ginporium and Distillery, have some family-friendly fun at Woodsies Gem Shop, learn about all things military at RAAF Memorial & Museum, and admire all the interesting features of Orange World. Before you visit Mildura, use our trip planner to discover what you can do and see there. You can fly from Sydney to Mildura in 5.5 hours. Alternatively, you can drive; or do a combination of train and bus. Traveling from Sydney in September, Mildura is little chillier at night with lows of 8°C. Finish your sightseeing early on the 20th (Fri) so you can travel to Melbourne. When in Melbourne, make a side trip to see The Great Ocean Road in Torquay, approximately 1h 40 min away. Dedicate the 25th (Wed) to wine at some of the top wineries in the area. There's still lots to do: admire the natural beauty at Royal Botanic Gardens, indulge your taste buds at Food & Drink, explore the world behind art at National Gallery of Victoria, and steep yourself in history at Old Melbourne Gaol. Getting from Mildura to Melbourne by flight takes about 3 hours. Other options: drive; or do a combination of bus and train. Traveling from Mildura in September, expect nights in Melbourne to be about the same, around 7°C, while days are slightly colder, around 20°C. Wrap up your sightseeing on the 27th (Fri) to allow time to travel back home.